Item # 317116 Stash Points: 3,995 (?) This is the number of points you get in The Zumiez Stash for purchasing this item. Stash points are redeemable for exclusive rewards only available to Zumiez Stash members. To redeem your points check out the rewards catalog on thestash.zumiez.com. 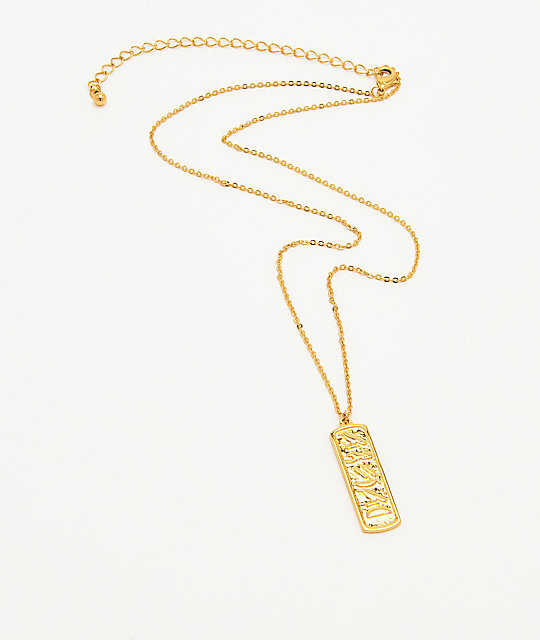 Accent your daily outfits in gold level fashion with the Gold Gods Hieroglyph 18" Gold Chain Necklace. Hanging from a sleek 2mm chain, this PVD gold plated necklace is a clean and classy look worthy of all your favorite daily outfits. 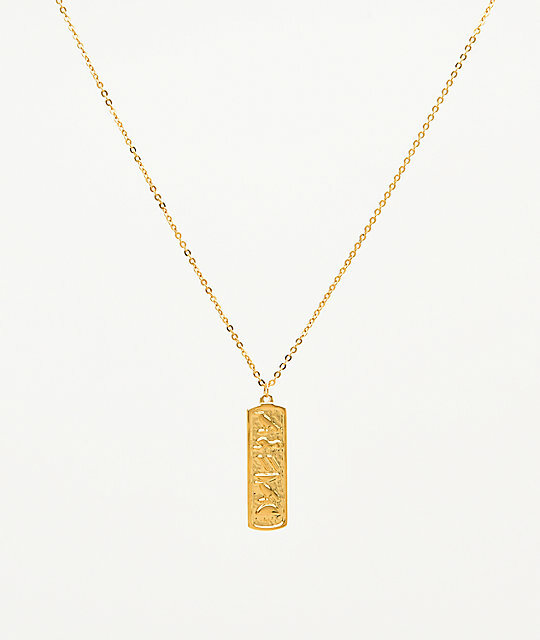 Complete with a rectangular pendant with hieroglyph graphic inlay, this necklace is certainly a look all-its-own. Hieroglyph 18" Gold Chain Necklace by The Gold Gods. Rectangular, engraved and gold PVD plated pendant. 1" x .25" (2.5cm x .75cm) pendant.